Ready to knit a cabled hat?! In this tutorial we will go step by step through the Antler Toque, a great way to learn about cables, charts, and hat knitting in general. If you are looking for something a little simpler, try our free Barley hat pattern and tutorial from The Simple Collection. If you happen to have a surly bearded man around, it helps for modeling once your hat is done, but that part is optional. While some patterns include ‘finished measurements’ you will note that the Antler Toque has ‘to fit’ measurements. That is because this hat has a little bit of negative ease built in for a proper fit (negative ease means the hat is a little smaller than your noggin, so the knitting stretches a little to fit snuggly). I’ll be knitting the child size. Using smaller needles, cast on 76 (84, 96, 106) sts, PM and join for working in the round. Work in 1×1 rib (k1, p1) for 1.5 (2, 2, 2.5)”. Why this little adjustment? Because the ribbing must be an even number, but the cable and purl repeat must be an odd number for these sizes, the Adult S and L need a little decrease. You’ll just have to trust us on this one! To change to larger needles you simply use the larger needle to start the next round, knitting off the smaller needle in your left hand, onto the larger needle in your right hand. Since I am working the child size, I will work [k16, p5] around.This is a 21 stitch repeat and I will have 4 cables. The square brackets tell you what your repeat is, and the round brackets indicate the number of purl sts for your size. If you are knitting the baby size you will work [k16, p3] around, the child size is [k15, p5] around etc. Work antler cable pattern following chart A or written instructions. You will be working the 16 stitch chart with 3 or 5 purl stitches in between, depending on your size. The chart is read from right to left, bottom to top. Why do charts work that way? Because that is the way your knitting goes! Never cabled before? No problem! Check out our full cable tutorial here. For the child size, I am working rounds 1-6 of the chart a total of 6 times. The decreases for this hat are fairly straight forward written out line by line. If ssk and k2tog are new to you, click the links for a detailed explanation. For the Antler Toque decreases, just watch out for the cabled decreases. They are the c4bdec and c4fdec. You are decreasing and cabling at the same time. When your stitches start to feel too stretched you can change to DPNs (double pointed needles). Why the DPNs you ask? You can knit things larger than the circumference of a circular needle, but not smaller, in order to work on the few stitches left in the decreases you will need DPNs. Alternatively you could use a long circular needle and the magic loop method. Switching to DPNs is easy peasy, just the same as switching from the smaller needles to the larger. You will pick up your first DPN in your right hand, and your circular needle will be in your left. You will work the stitches off of the circular onto the DPN. When I distribute my sts on DPNs I like to put about 1/2 the sts on the first needle and about 1/4 of the sts on each of the other 2 needles. This way I don’t need the BOR marker, I know the beginning of the round is at the start of the ‘full’ needle. Break yarn leaving an 8” tail. Thread tail through remaining sts, pull tight and secure end. Weave in your ends and give your hat a block. Using your blunt darning needle, thread the tail through the remaining live sts and take them off the needle. Done and ready for a block! The biggest question is to pom pom or not to pom pom. Bodhi went wild with a hot pink faux fur number, but it’s really up to you. If you are looking for a tutorial on how to make a pom pom, we have that too! That’s it! You are ready to wear your Antler toque out and about. Now that you are confident with your cables you can go forth and conquer a matching set of mittens, or even an Antler sweater! I’ve never seen double pointed needles like that! They look awesome, and like thee yarn wouldn’t slide so easily. Can you tell me where I might be able to get them (online)? I knit a swatch for the Antler hat, which I will be knitting in a size large. It came out with 24 sts in 4″ unblocked. Is that too much of a difference or can I proceed? I knit the swatch in the round. I’m soaking it in hot water as I type. Thank you! 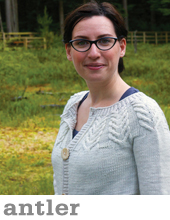 Hi Katie – I would probably swatch again with a larger needle and block your swatch. Then you will have an idea if you are close. I just finished knitting the antler toque. When I clicked on the link to read how to block the toque it didn’t address that in detail. Are there any special instructions?? Hi Lynn – no special instructions, I lay mine flat to dry. I’ve finished my Antler hat a week ago (to use up the yarn leftover from my Antler cardigan) and got good use out of it today in the rain in Limerick. Going to cast one on shortly in green for my grandson in time for St. Patricks Day. It’ll pair with his Flax sweater. 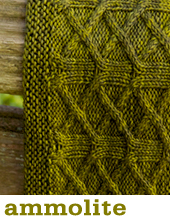 I adore your patterns and advise every knitter I meet to try them. 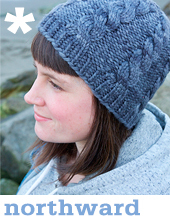 Our Antler toque tutorial might not be up on the website yet, but it will always be on the blog! First of all thanks for letting me join your site. I look forward to your emails. Your sock pattern was used in my first class at Stash. Great sock pattern. Thanks for sharing all you do. Love that color combo! I think I just might need to make my surly un-bearded man a hat. But no pom-pom. LOL! I am loving this color combo! I haven’t tried this hat pattern yet, but it’s going on the list! You are going to be the death of me….I need to really hurry and finish my current project so I can try this one in a timely (as in wearing it this year!) fashion. Thanks for all your amazing patterns and tutorials! Merci beaucoup! Jài déjà tricoté cette tuque pour mon mari et il l’aime beaucoup! Elle est très jolie en couleur aqua et le pompons rouge, c’est magnifique. This is absolutely adorable in aqua with the pom-pom! I have made this hat pattern over and over. It is such a great pattern for men and women and looks spectacular in every yarn and colorway I’ve used. Thank you, thank you!